This hoax circulates every August, and it’s one of the most popular posts at our website, year after year. Is it true? No. Mars won’t be as big as the moon on August 27, or ever. This image – or one like it – sometimes circulates on Facebook, with the claim that Mars will appear as big and bright as a full moon. It’s a hoax. Don’t believe it. 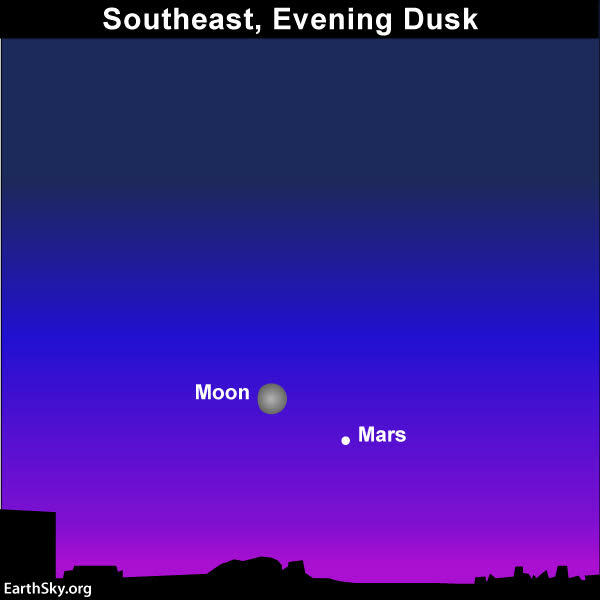 Will Mars and the moon will appear the same size on August 27, 2018? Will Mars ever appear as big as the moon, seen from Earth? No to both. This hoax has its roots in a real 15-year cycle of Mars, that’s peaking – giving us an excellent year to observe Mars – in 2018. 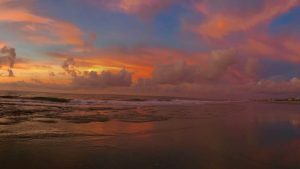 Although it’s not true, you’re likely to see the claim as an email – or on social media – that Mars will appear as large as a full moon in Earth’s sky on a particular date, often August 27 of any given year. 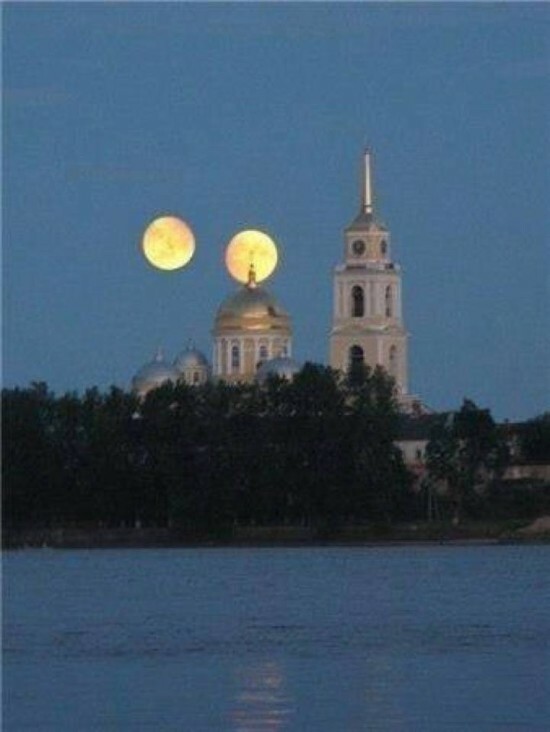 Sometimes there’s a suggestion that Mars and Earth’s moon will appear as a double moon. 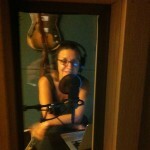 I’ve also seen the photo above, circulating on Facebook. And that is just not true. It’s not true in 2018. It’s never been true. It never will be true. In this astronaut photo, taken from the International Space Station on June 30, 2018, Mars has been highlighted and enlarged 20 times. Read more about this image. SEE MARS AS LARGE AS THE FULL MOON. Should be spectacular! Truly a once in a lifetime experience! Mars can never appear as large as a full moon as seen from Earth. As seen from Earth, in months when Mars does appear side by side with a full moon, Mars’ diameter appears, on average, about 1/140th the diameter of the full moon. In other words, you’d have to line up 140 planet Mars – side by side – to equal the moon’s diameter. Earth and Mars had a particularly close opposition on on July 27, 2018. Beginning around July 7, Mars bumped Jupiter out of the second-brightest planet slot; Mars has been the second-brightest planet (after Venus) and will remain so until about September 7, 2018. Mars’ opposition happens whenever we pass between it and the sun in our smaller, faster orbit. Mars was closest to us on July 31, closer than it’s been since 2003! It’s been bright and very reddish! Like a dot of flame. Thus the Mars-as-big-as-the-moon and double moon rumors are flying! 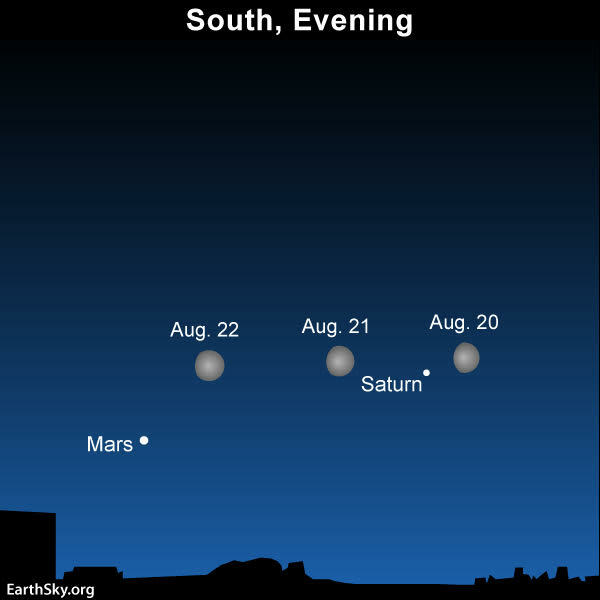 The moon is passing Saturn and Mars from August 20 to 22, 2018. Read more. 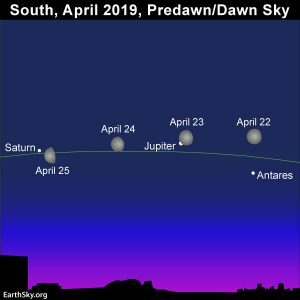 Watch for the moon and Mars on August 23, 2018, too. Read more. 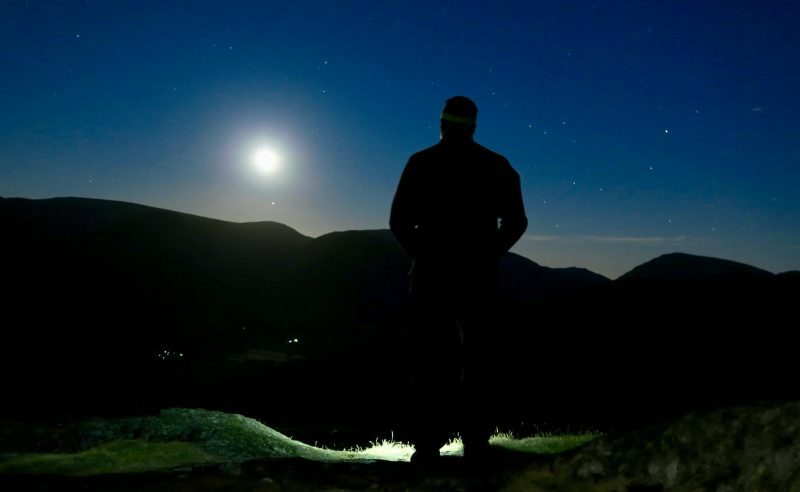 Moon and Mars rising over the hills of the English Lake District on July 1, 2018, via Adrian Strand. In this photo, Mars is in the 5 o’clock position with respect to the moon. If you see Mars near the moon on August 22 or 23, 2018, it’ll look about like this … a big round world (the moon) and a bright dot (Mars). Ah, Mars. World of dreams and visions. Mars is the world orbiting one step outward from Earth’s orbit. This world is slightly smaller than Earth – but slightly larger than Earth’s moon. Mars is also much much farther away than Earth’s moon. It’s hard to comprehend what little specks the planets and moons are in contrast to the vastness of space, but let me put it this way. Earth’s moon is about a light-second away. Traveling at 186,000 miles per second (300,000 km/sec), light bouncing from the moon’s surface takes about a second to reach us here on Earth. Meanwhile, light from Mars takes much much longer to reach Earth – from several minutes to about 20 minutes – with the difference being the result of Earth’s and Mars’ motions around the sun. In other words, when Mars is on the same side of the sun as Earth, its distance from us is less than when it’s on the far side of the sun from us. The moon is much closer than Mars, and that’s why we see the moon as a bright disk in our sky. 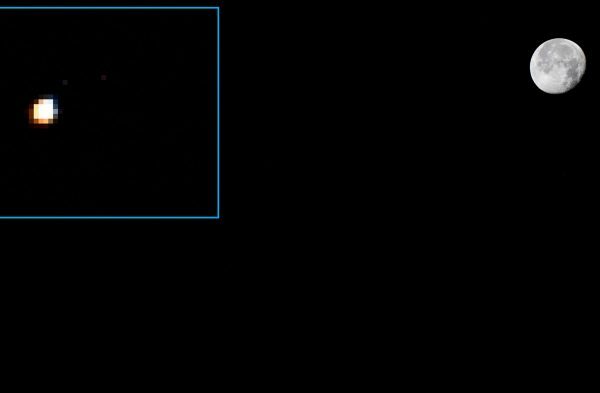 Meanwhile – to the eye – Mars never appears as anything but a reddish starlike point. So how did this rumor of Mars-as-big-and-bright-as-the-moon get started? It started with an actual (though much more subtle) event in 2003. On August 27 of that year, Earth and Mars came very slightly closer than they’d been in nearly 60,000 years. Center-to-center, Earth and Mars were less than 35 million miles apart (about 56 million km) – just over three light-minutes apart. The last people to come so close to Mars were Neanderthals. Astronomy writers like me had a field day that year, talking about Mars at its closest. Was it a spectacular sight? Yes! 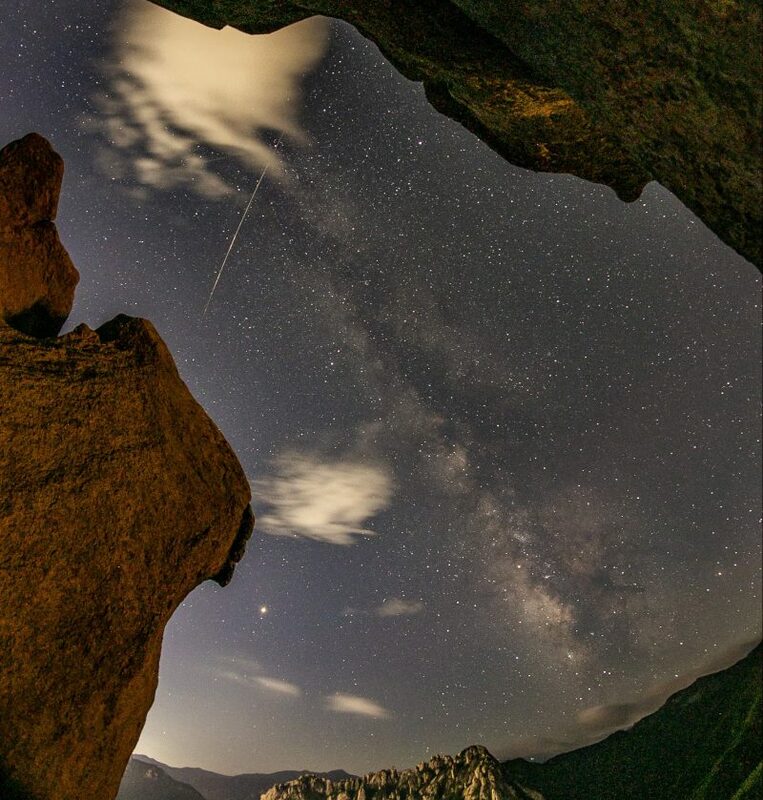 Moonlit night in July, 2018, over South Korea’s Mount Seoraksan – with Mars and a meteor – by Kang Min Lee. Mars is the brightest starlike object in the lower left of the photo. From Earth, Mars always appears starlike. 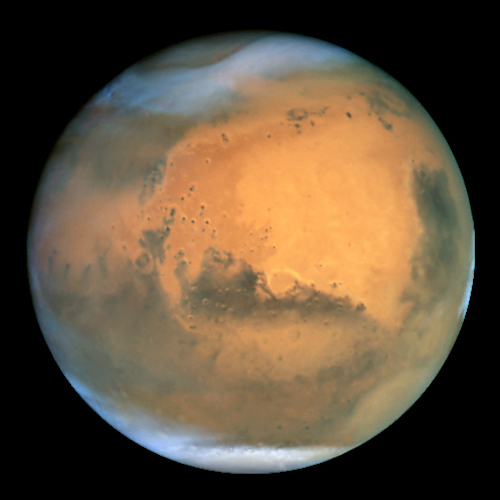 The 2003 event was part of that 15-year cycle for Mars, mentioned above. Think of Earth and Mars in orbit around the sun again. Neither Earth nor Mars has a circular orbit. Both worlds have elliptical orbits … like squashed circles. So both Earth and Mars have a closest point to the sun. Maybe you can see that – when Earth passes between the sun and Mars (opposition) around the time Mars is closest to the sun (perihelion) – Earth and Mars come closest. The diagram below, used with the kind permission of the Royal Astronomical Society of Canada, helps show why. Diagram by Roy L. Bishop. Copyright Royal Astronomical Society of Canada. Used with permission. Visit the RASC estore to purchase the Observer’s Handbook, a necessary tool for all skywatchers. 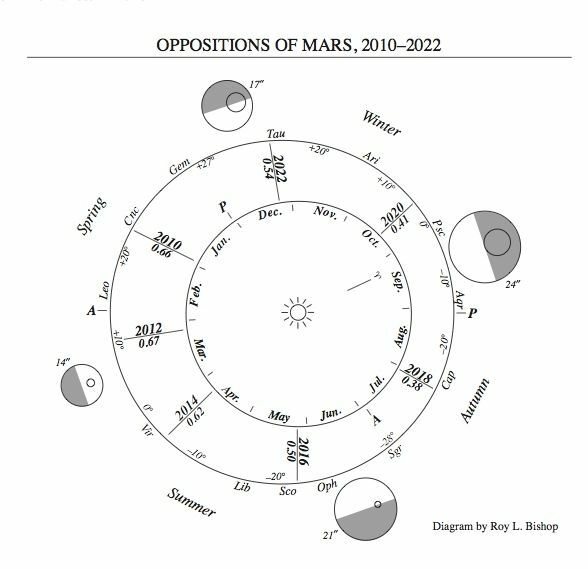 This diagram explains why, in 2016, Mars was closer than it had been in 10 years. In 2018, it’s even closer … but never moon-sized in Earth’s sky. Read more about why Mars is sometimes bright and sometimes faint. The red planet Mars, as seen by the Hubble Space Telescope. Can you imagine seeing this in our night sky? It’d be terrifying! Luckily, it can’t happen. Image via NASA. Bottom line: Mars can never appear as large as a full moon in Earth’s sky. The email – or social media – claims to the contrary are a hoax. However, 2018 is an excellent year for Mars. Until early September, this world will appear as the second-brightest starlike object – after Venus – in Earth’s sky.